California is grappling with a historic drought, and the issues surrounding meat production are increasingly in the news. It is more important than ever to be informed about the proteins that you source, cook, and serve. 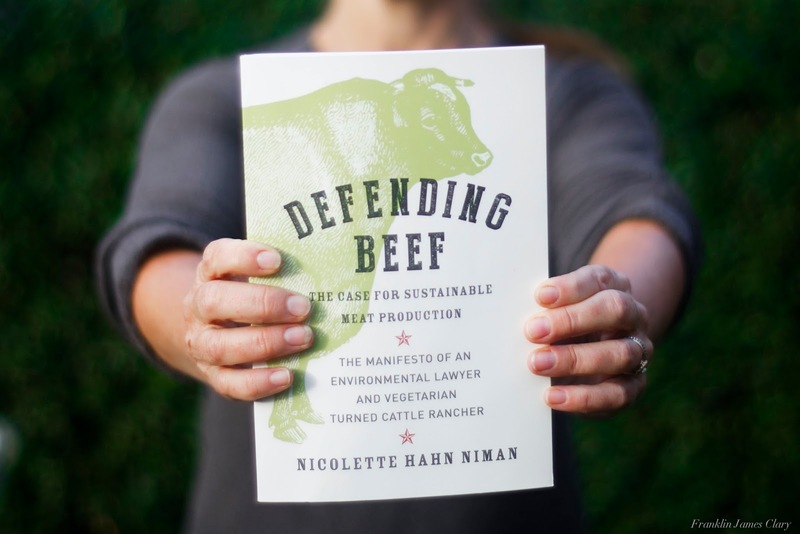 Whether beef is on your menu every night, or you run a vegan establishment, rancher, lawyer, and former Chefs Collaborative Board Member Nicolette Niman’s new book, Defending Beef, is on chef Michael Leviton’s must-read list in 2015. It’s sure to make you think twice, especially if responsibly-raised beef is not on your menu. In Defending Beef, Nicolette spells out a powerful argument for why beef is not inherently bad for our planet or our health. In fact, she posits that beef has a vital role to play. Through an incredible amount of data, she debunks common cow “myths” and makes an irrefutable argument that beef production can, and should, be beneficial for the environment. Now, not all that you learn in Defending Beef will be news to you. If you were with us in Boulder, Colorado this past fall for Chefs Collaborative’s 2014 Sustainable Food Summit, you would have heard Chris Kerston of the Savory Institute articulate how properly managed cattle herds are critical for maintaining and restoring ecosystems. Allan Savory, the visionary leader of the Savory Institute, also has an electrifying TED talk on this matter. In her book, Nicolette makes similar points, arguing that cattle are powerful surrogates for the wild herds that used to roam our open lands. For Michael, what sticks with him is the wealth of scholarly information Nicolette provides, and how she manages to clearly separate responsible beef production from the rest of the herd. Beyond being a powerful education tool, Defending Beef should inspire you to continue to change menus and change lives with your food dollars – whether you are a professional chef or are cooking for your family. You can find Defending Beef online here. Be sure to use Amazon Smile if you shop with Amazon to help support Chefs Collaborative!